During the summer (this post is a little late…) we got the chance to visit the drilling rig ENSCO 70, which was being refitted for a Mærsk contract in Esbjerg harbour. Esbjerg is developing into the Danish Offshore capital, and drilling rigs and platforms have become a common sight in the harbour. Maritime archaeology is closely linked to the maritime industry sector, in methodology, and often in day to day tasks. 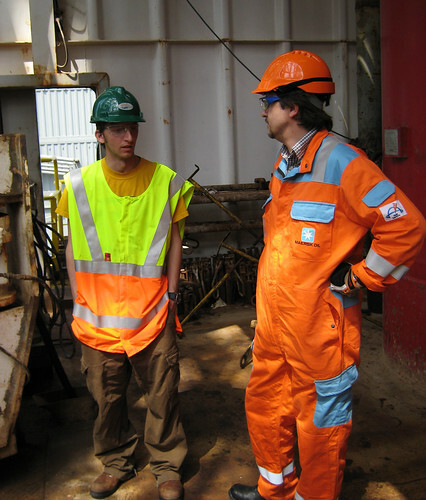 It was therefore great to get aboard a drilling platform and learn more about the daily life and routines on rigs and the production process. Many thanks again to John Howell at Mærsk for making this visit possible! !